Back when 2018 was only a few days old, we brought you news of a Dunny collaboration between DTA Break-Through Artist 2016 winners Horrible Adorables & Kidrobot (read HERE). Flashforward four months and we can bring you details of the official launch of the Curly Horned Dunnylope! 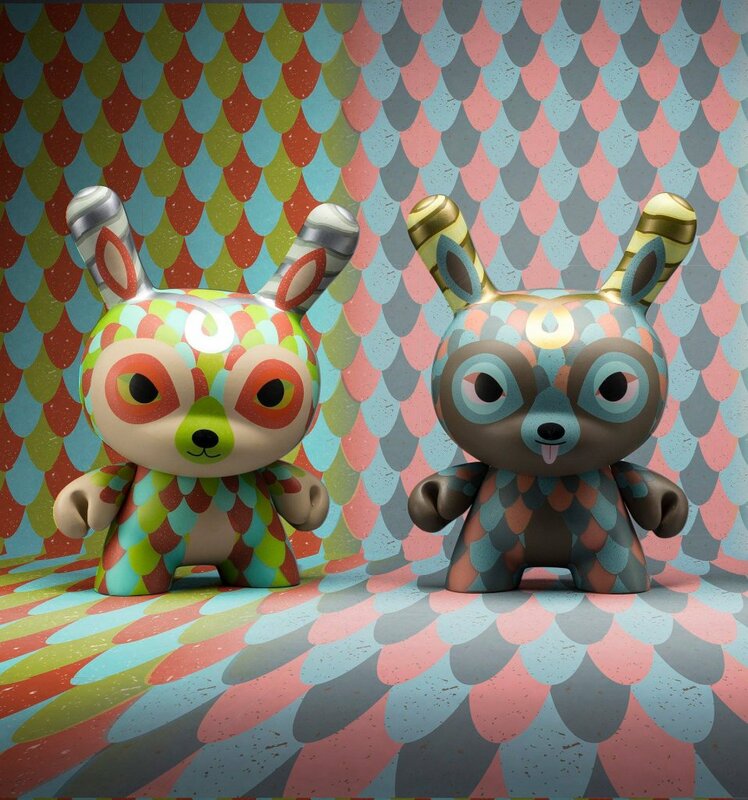 Dropping on Fri 25th May over at kidrobot.com, Horrible Adorable will release three colourways of the 5inch Dunnylope. The original colourway as seen above with greens, browns & blues, the Kidrobot exclusive colourway which is also seen above in pinks & blues (limited to 200pieces). The third colourway will be a DTA/Clutter exclusive, not pictured. Due to Horrible Adorables winning the DTA Break-Through Artist in 2016, they got the privilege to work with KR on their first Dunny release. Other retailers to stock the original Dunnylope colourway are Collect & Display & myplasticheart. Expect to pay around $40/£40 for these. We are sure that you’ll be able to get your hands on these at Five Points Festival in less than two weeks time! Congrats to the Horrible Adorables for a wonderfully designed Dunny! We think these will be a huge hit for those that love their quirky, unique style! Follow Horrible Adorables on Instagram HERE.